The place is Ceylon, the time the 1930s. Set amid tea plantations, decay and corruption, this sinuous, subtle, surprising novel is a masterly evocation of time and place, of colonialism and the backwash of empire. It is the story of an embittered Ceylonese lawyer, Sam Obeysekere himself a product of empire – ‘obey’ by name and by nature – and of a family that once had wealth and influence but starts to crack open when Sam’s charismatic father dies leaving gambling debts, an ex-beauty of a wife, an unstable daughter and an inadequate son. But the writing has been on the wall for a generation, ever since another sibling died in his cot. 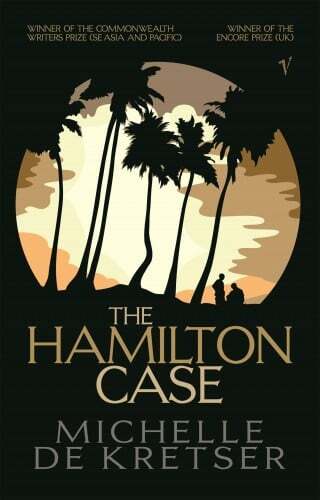 And at the heart of the novel is The Hamilton Case, a ‘White Mischief’ murder scandal that shakes the upper echelons of the island’s society. Sam’s involvement in it makes his name but paradoxically ensures that he will never achieve his ambition. A miracle of delicacy and restraint, full of volte faces, and narrated with perfect pitch in a voice that catches both the tragedy and comedy of their situation, this is a gripping, nuanced tale of the end of an era, suffused with ‘the unbearable thought that everything might have turned out differently’.